Weather you’ve had your trusted Ruger LC380 for a while, or if you just purchased one, now you are in the market for a holster. You have most likely wondered, What is the best holster for Ruger LC380? We have done the research and we have our top picks that we would like to share with you. 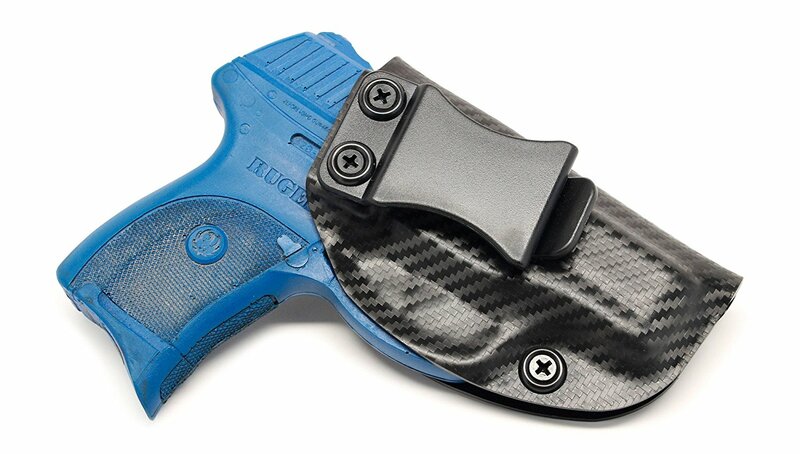 Our top pick holster for the Ruger LC380 is the Concealment Express IWB Holster. 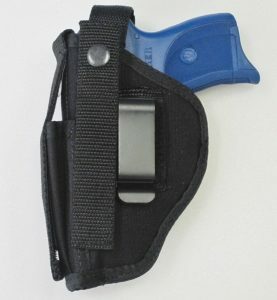 This holster is hand molded, made of kydex and was designed to be worn IWB. Before you decide on which holster to purchase, for your Ruger LC380, there are things you should take into consideration. You want to make the best purchase for you and your comfort. Do you want to carry inside your waistband or outside? Do you want to carry on your ankle? There’s different ways to carry a concealed weapon. There are many things to consider even within these options. You want to be comfortable, you want your gun hidden and you want quality. Belt holsters are the most popular choices in holster. These are ones worn inside the waistband of your pants and outside the waistband. IWB, or inside the waistband holsters are the most popular. They are usually easy to put on and take off, they conceal good and are comfortable. To learn more about wearing your IWB hoster, check out this article. OWB, or outside the waistband is another easy way to carry. Your handgun is in easy reach and feel natural when you are drawing. OWB is the most popular way for open carry but you can use this as an option for concealed carry by having a long shirt, untucked, or a jacket. If you choose an IWB or an OWB holster, a good gun belt will be needed. You will want to shop around for a quality belt that is strong enough to bear the weight of the gun yet still look like it fits in with your wardrobe. This is something that needs to be considered, especially if you order online. Most holsters are made for specific handedness. Be sure to get the right product for which hand is your strong hand. If you carry on a belt, you want to draw from your strong hand. In other words, if you are right handed and wear an IWB holster, you will want to order a right handed one. Mistakes come in with shoulder holsters or small of back. With a shoulder holster you want the gun to be under your nondominant shoulder. If you are right handed, the gun should be under your left shoulder so you can draw with your right hand. If you want a holster worn at the small of your back and you are a right handed shooter, you will want to get a left handed holster. This will put the handle of the pistol in a position that makes it easier to grab. Holsters are made of leather, nylon or a molded plastic. Leather is a nice choice for inside the waistband because it is comfortable and holds your gun great, especially after an initial break in period. Nylon holsters are usually the least expensive holsters. They are great because moisture or sweat do not affect them. Nylon holsters are good for shoulder carry, ankle carry or on the belt. Plastic, or hydex holsters are great for the belt. They are molded to the make and model of your gun to keep it secure with the help of retention screws. Retention refers to how the gun stays in place. With plastic, or hydex holsters, there is passive retention. The molded plastic keeps the gun in place. You will hear a click to let you know the pistol has been locked into position. There can be screws for you to tighten or loosen the retention, as necessary. Retention has different levels, from passive up to level 3 or 4. The higher the level of retention the more mechanisms there are to secure the firearm to the holster. Most people believe passive, or level one and level two are good enough for civilian carry. Levels 3 and 4 are for police officers or government officials that are going into harry situations that the average Joe doesn’t get into. Cant refers to the angle the gun sits at in the holster. Some holster have an adjustable cant, from 0-15 degrees. This is for ease of draw. The more motion it takes to draw your gun, the slower you will be. Straight up, at 90 degrees may be a very quick draw but it also may make comfort an issue, especially if you sit. This will be based on personal preference. Ride is the vertical height of the gun compared to the beltline. Usually the trigger is right at the beltline. A high ride keeps the trigger above the belt and a deep or low ride keeps the trigger below the belt. For hydex holsters, you should look for ones that have retention screws so you can adjust the retention. Adjustable cant is an important feature so you have the ability to choose the angle that is the most comfortable for you. A good lifetime warranty shows that a company stands behind their product. Quality materials and craftsmanship are a feature that should always be considered when making any purchase. I think an added bonus is when the product is made in the USA. Now that we’ve looked at some things to consider as you are looking through holsters, let’s take a look at the top picks. Listed here, you’ll find different types and brands that may fit your situation. The top pick for the Ruger LC380 is the Concealment Express IWB Holster. This is a great, rugged, reliable and comfortable holster. It works great for everyday carry. I feel it has those qualities and features that we discussed above. This holster is made of a multilayer nylon that will mold to the shape of your gun. It features the reliability of a belt holster with the ease of a clip on. It can be worn either right or left handed. 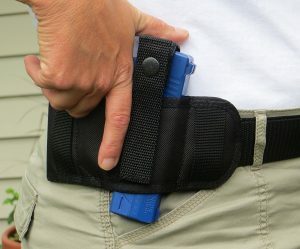 The Federal concealed carry belt holster is made from sturdy nylon. The exterior is resistant to scuffs and moisture, the interior is smooth yet grips your gun well. It is a strong, reliable and nice looking holster. This holster is a great concealed carry choice. 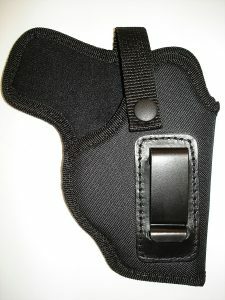 It fits IWB and has a protection barrier between the holster and your body to discourage sweat and encourage comfort. There are plenty of holster out there to choose from. If you are looking to concealed carry your Ruger LC380, the Concealment Express IWB Holster is a great choice. It comes with an adjustable cant, adjustable retention, and a lifetime warranty. This holster offers all the features of a great holster that we listed above. This is a great, rugged, reliable and comfortable holster. It works great for everyday carry. I feel it has those qualities and features that we discussed above. This holster may be just the one you are looking for and it should give you years of great, secure, comfortable concealed carry use.